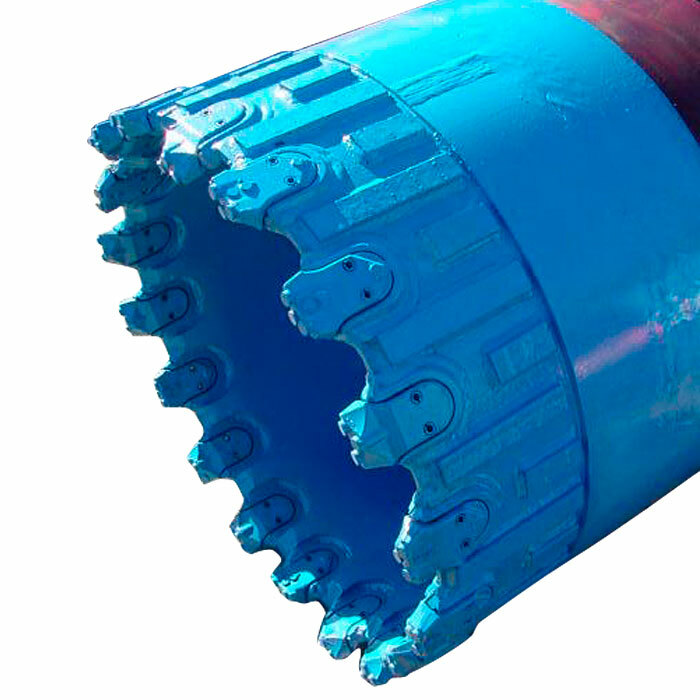 Our rotary drilling tools are built for use with modern high-torque machines and to a robust and high specification for longevity of life. 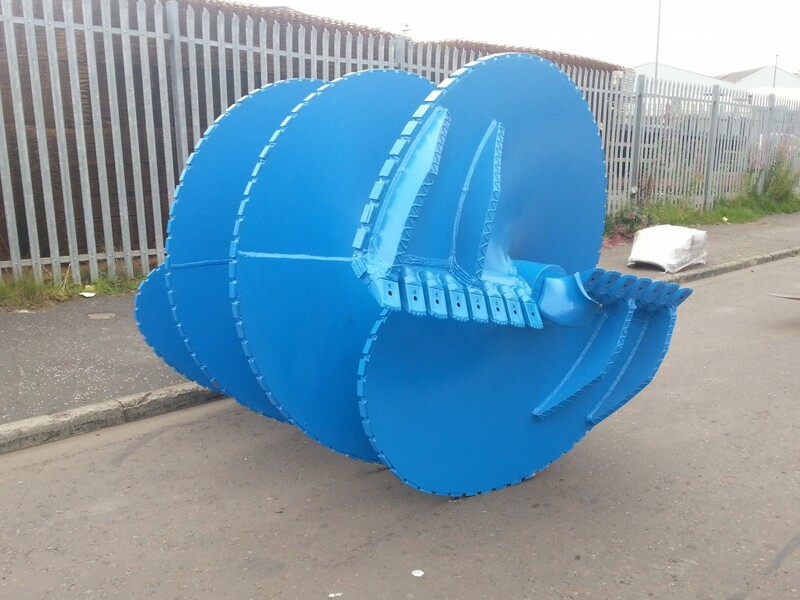 The rotary tools are constructed with a Kelly box to suite the individual rigs and are manufactured to the customers specification with cutting teeth or blades to optimise drilling in all types of soils. 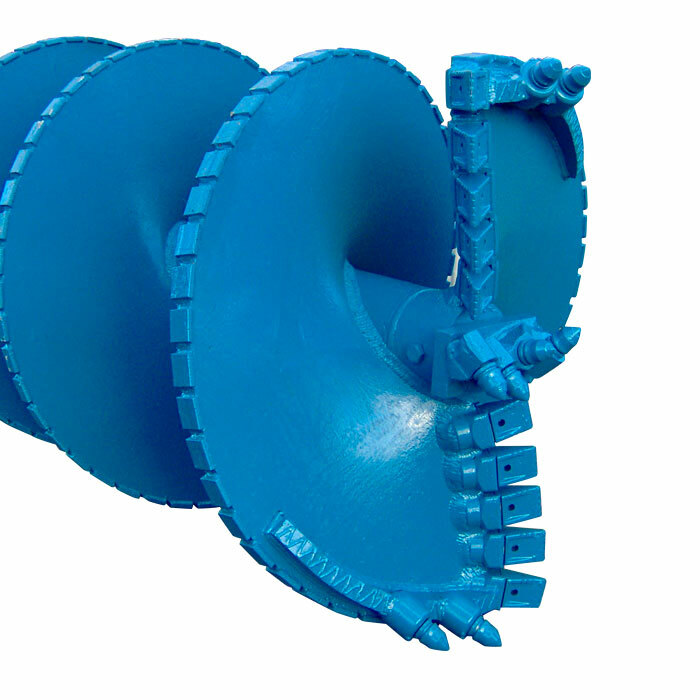 Typically auger blades or wedge teeth are used for clay drilling and bullet / point-attack teeth for soft and hard rock. 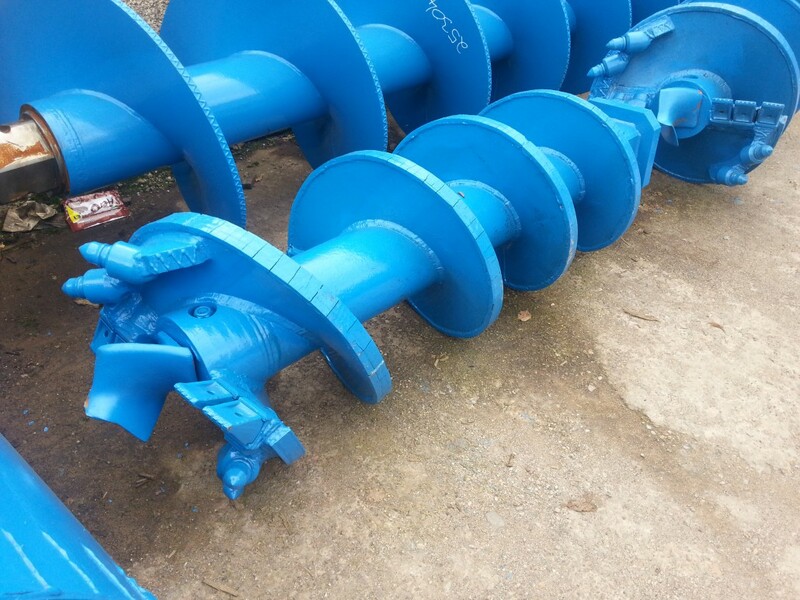 Available for all types of soil and for use with bentonite or other drilling fluids as required. 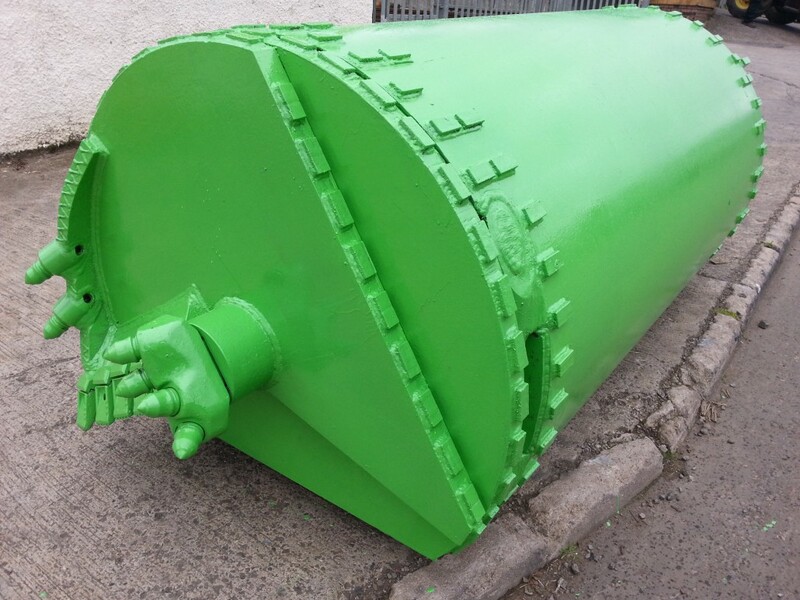 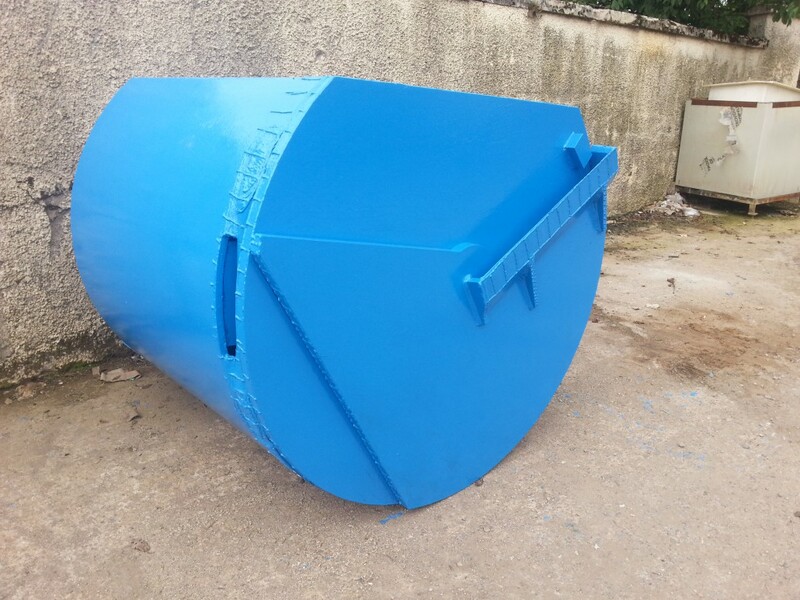 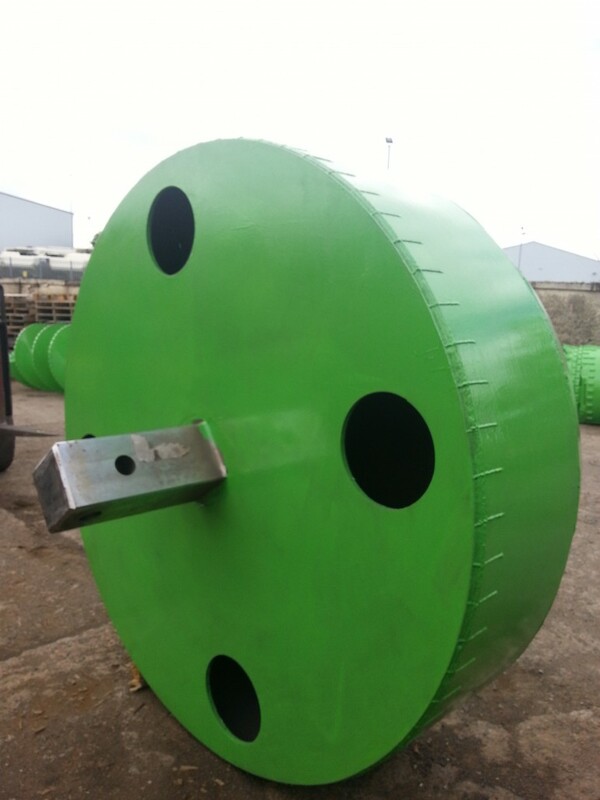 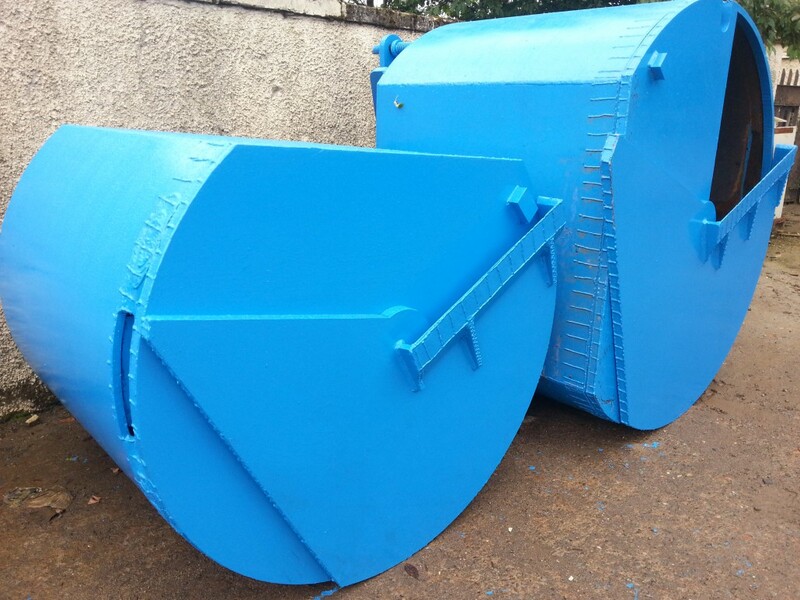 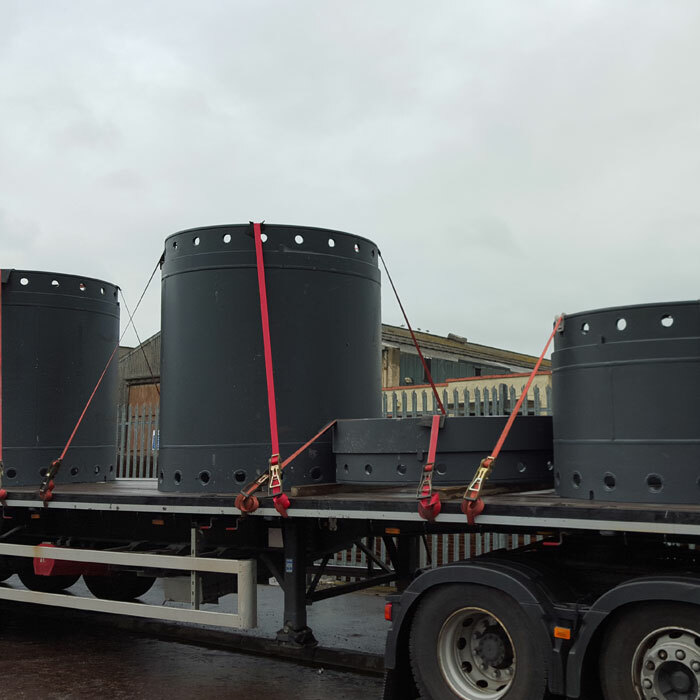 Our drilling buckets, for drilling work in all types of soils, are equipped as standard with either a 130mm or 200mm Kelly box, and with usable lengths of 1.2m or 1.5m although any other length cam be supplied if required. 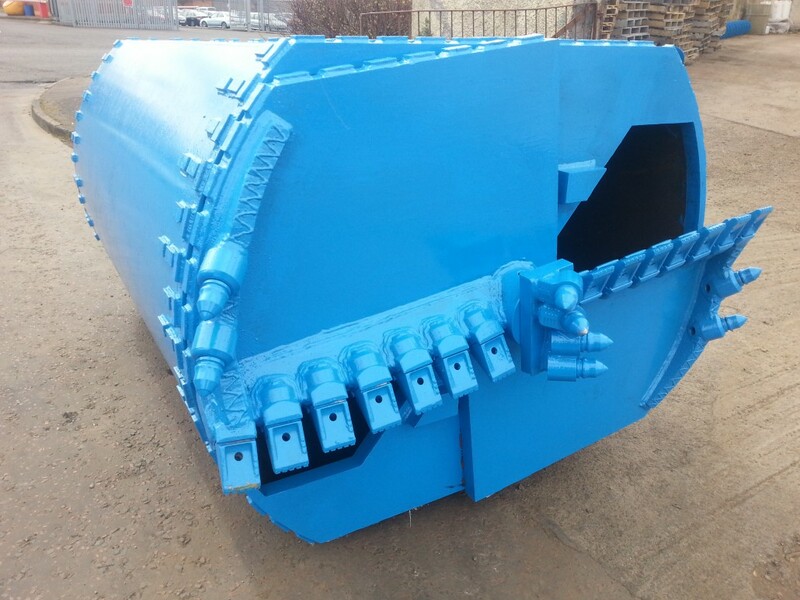 Either manual or automatic opening trips are available and the locking base of the bucket is manufactured with single or double cutters depending on the diameter. 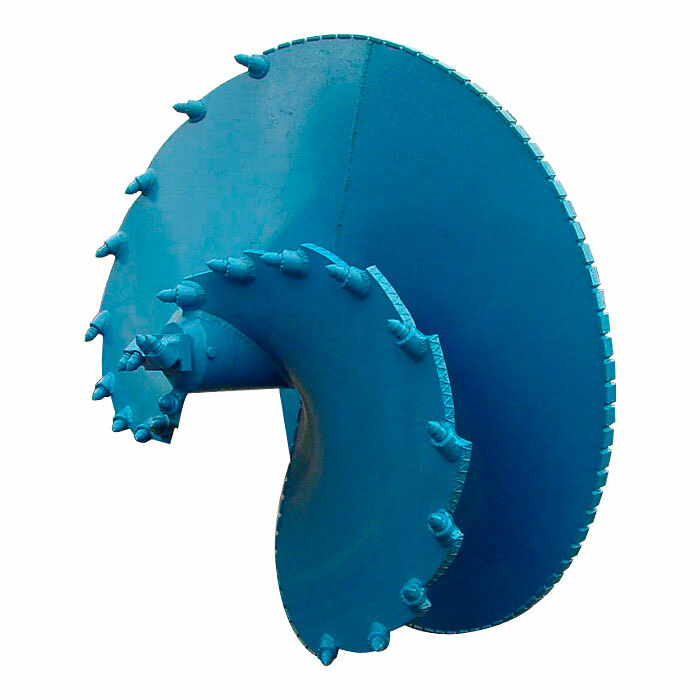 Blades or wedge teeth are provided for soft non-cohesive, cohesive soils or soft rock. 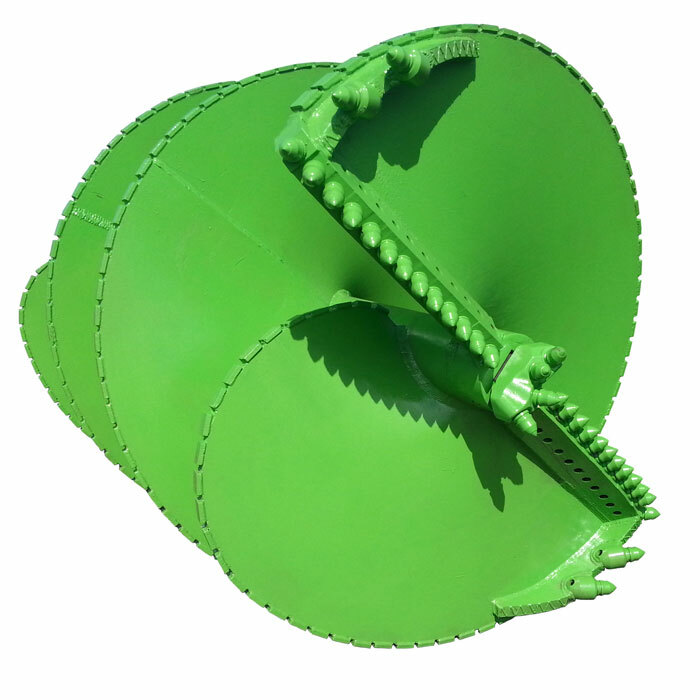 Point-attack / bullet teeth are used for harder materials. 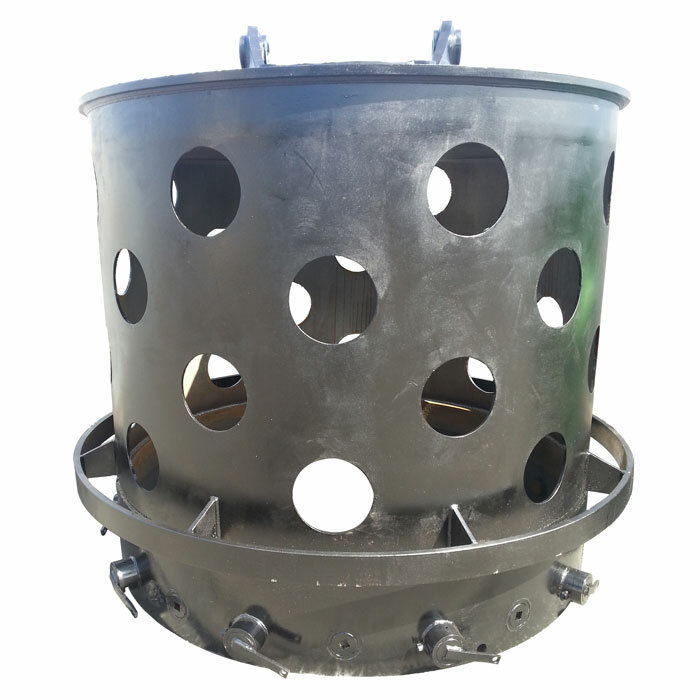 If required, the bucket can also be fitted with vent pipes, to avoid the creation of a vacuum when withdrawing the drilling tools from the borehole. 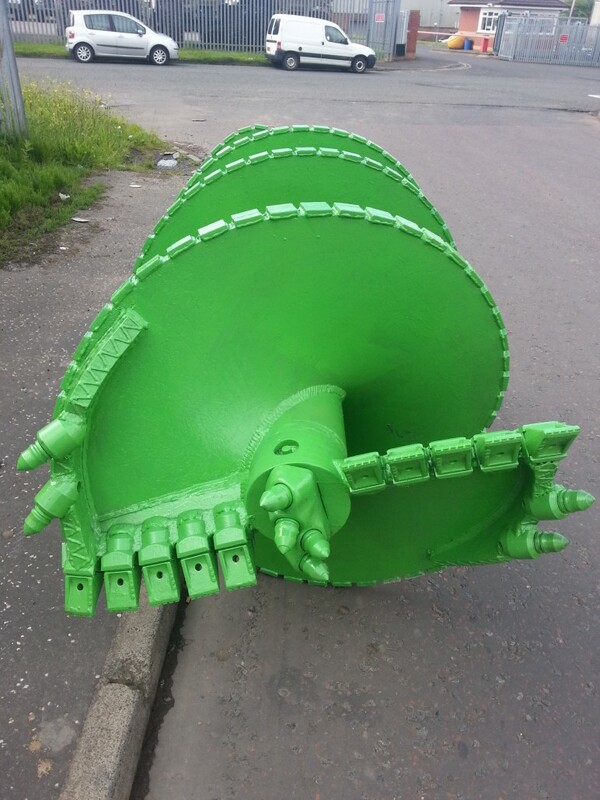 Digging buckets with flattened sides is for drilling under slurry are also available. 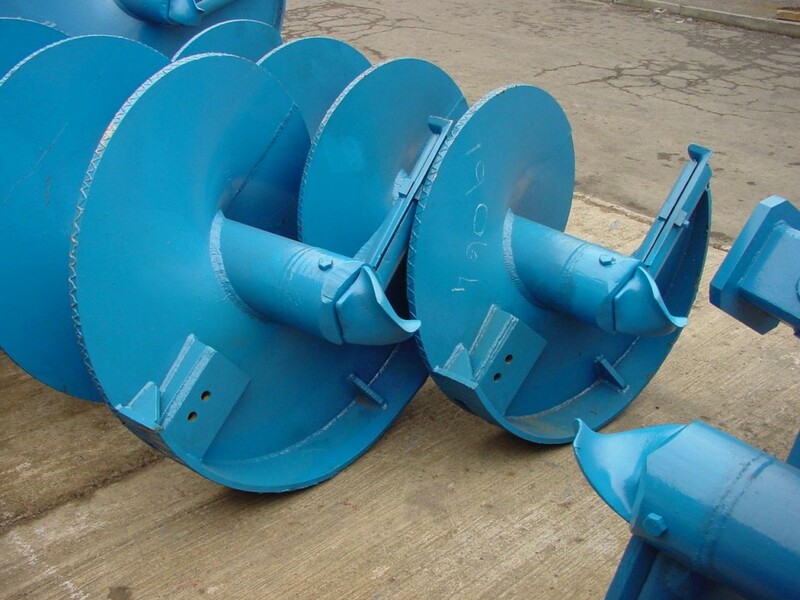 Our cleaning buckets fitted with cleaning blades are utilised to clean the bottom of the borehole. 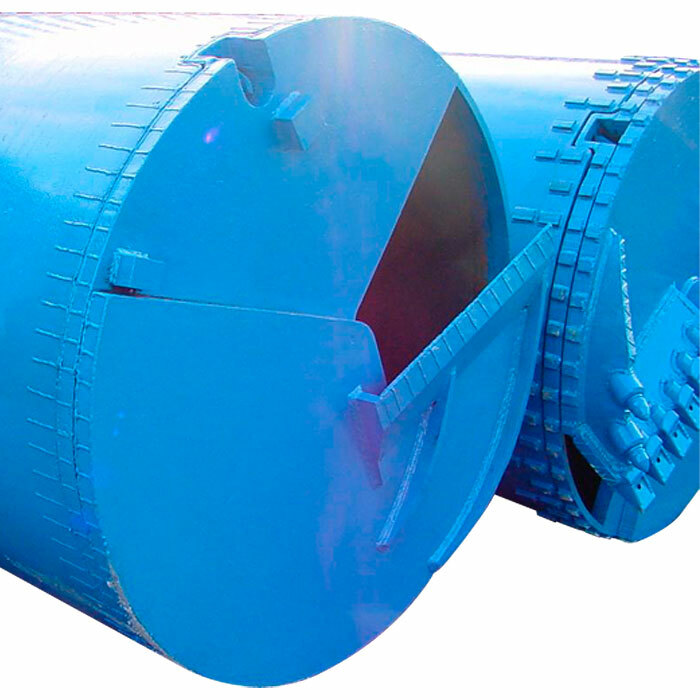 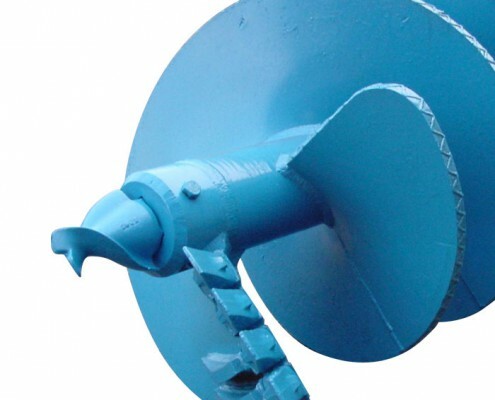 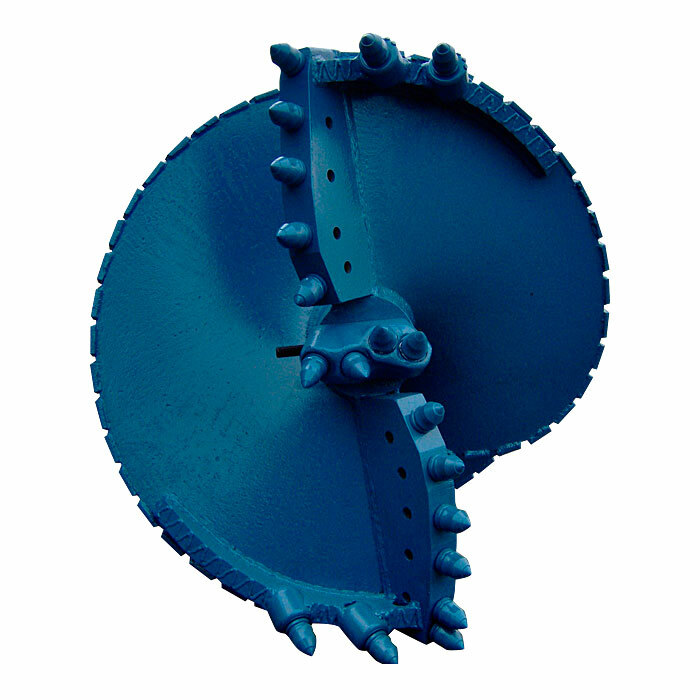 Other than the cleaning blades the specification are similar to our Drilling Buckets. 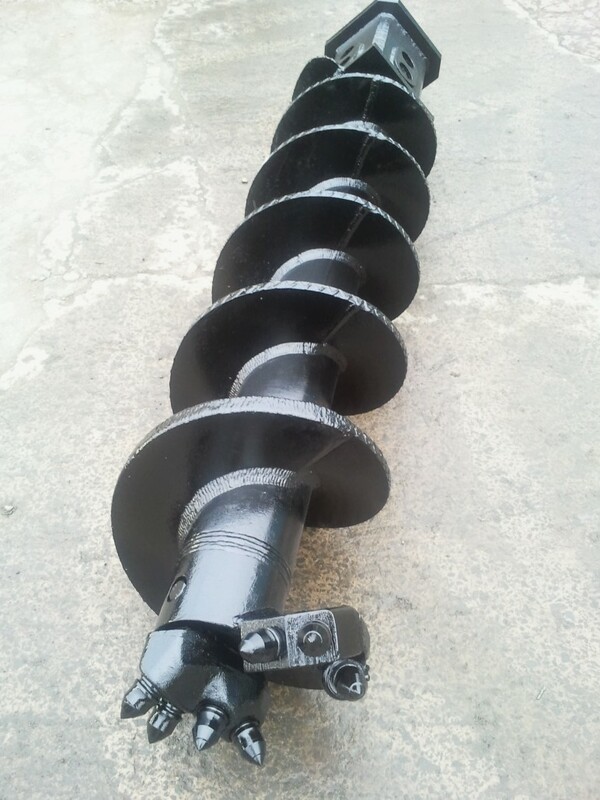 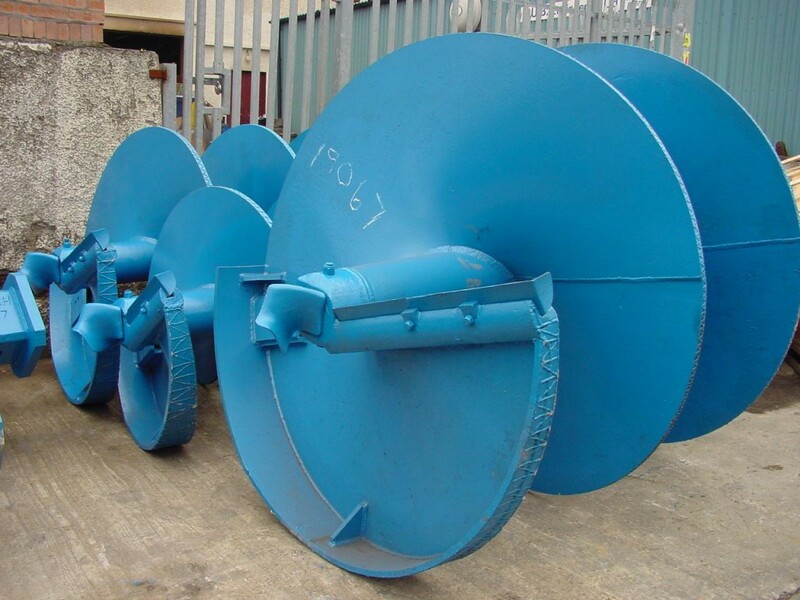 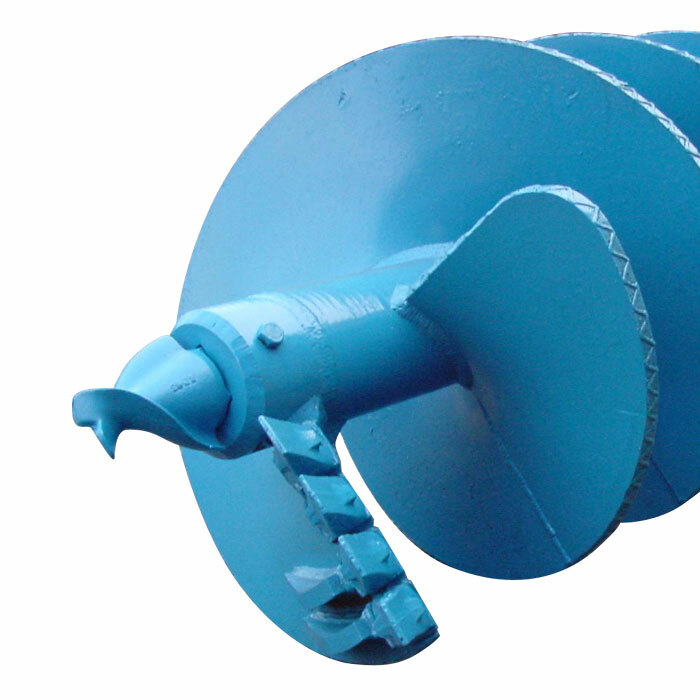 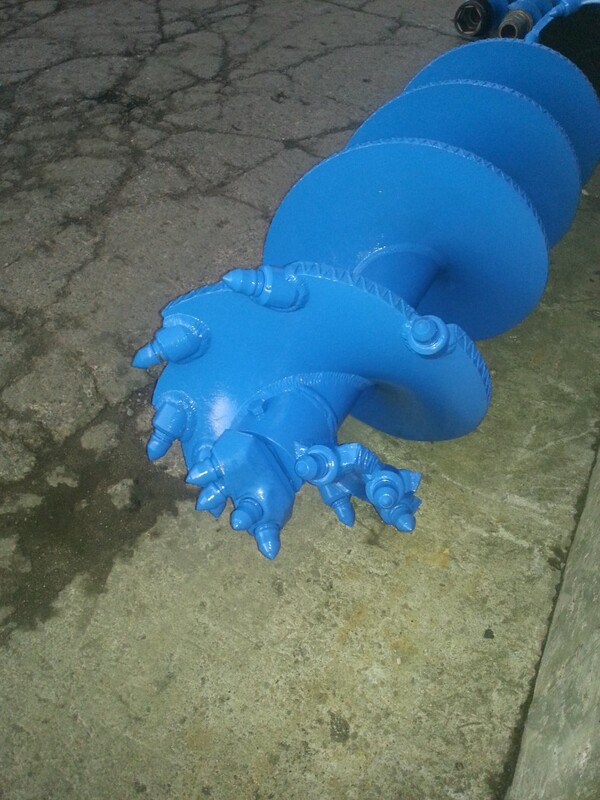 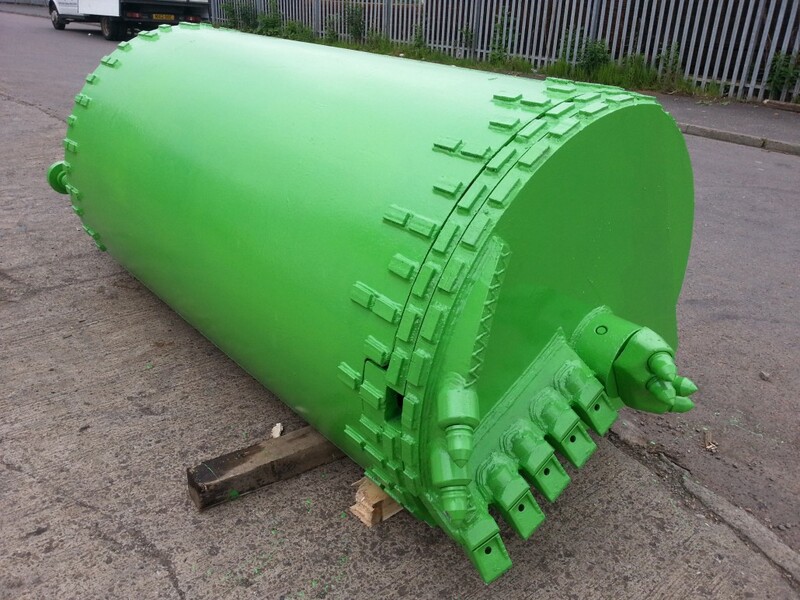 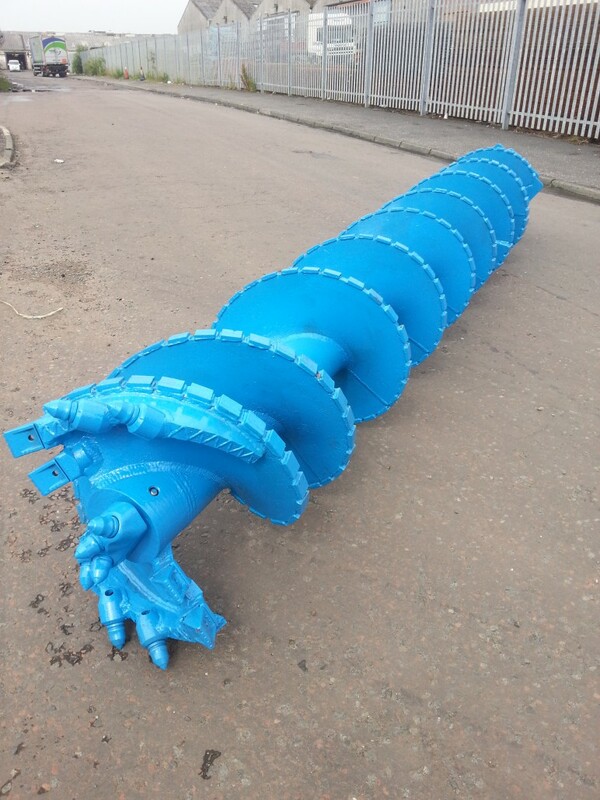 These augers are also equipped as standard with a 130mm or 200mm Kelly box and working lengths is 1,500mm or 2,000mm. 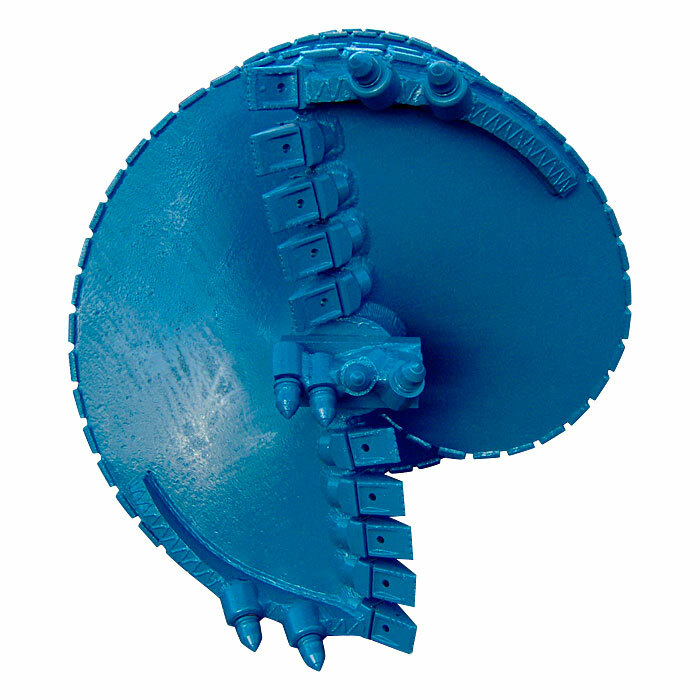 They have single or double cutters, depending on the diameter, and a replaceable cutting blades. 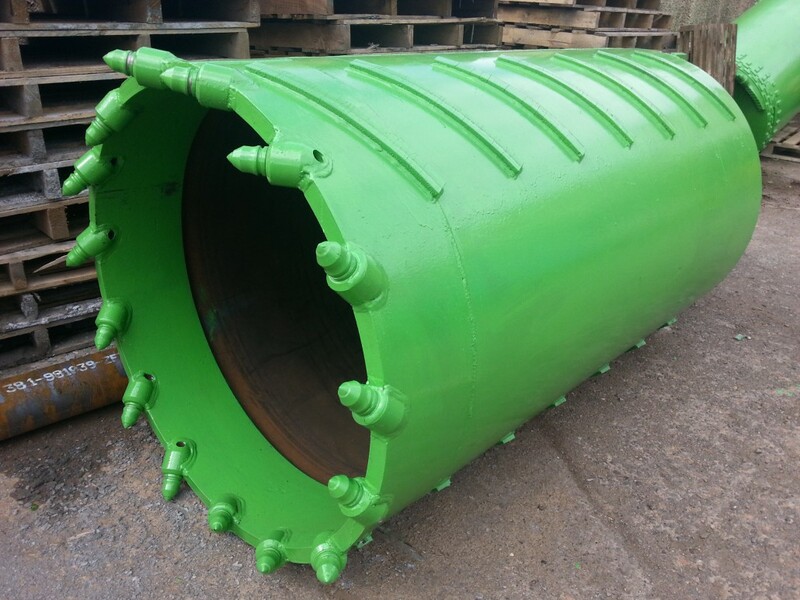 Core barrels are constructed for drilling in hard rock. 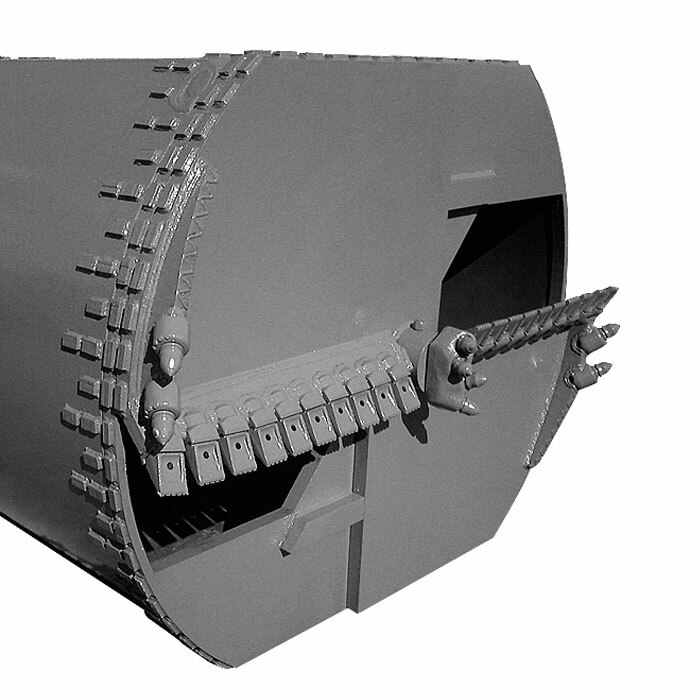 They are equipped as standard with a 130mm or 200mm Kelly box, have a working length of 1,500mm and are optionally equipped with quick-change teeth, welded-on teeth or point-attack tools. 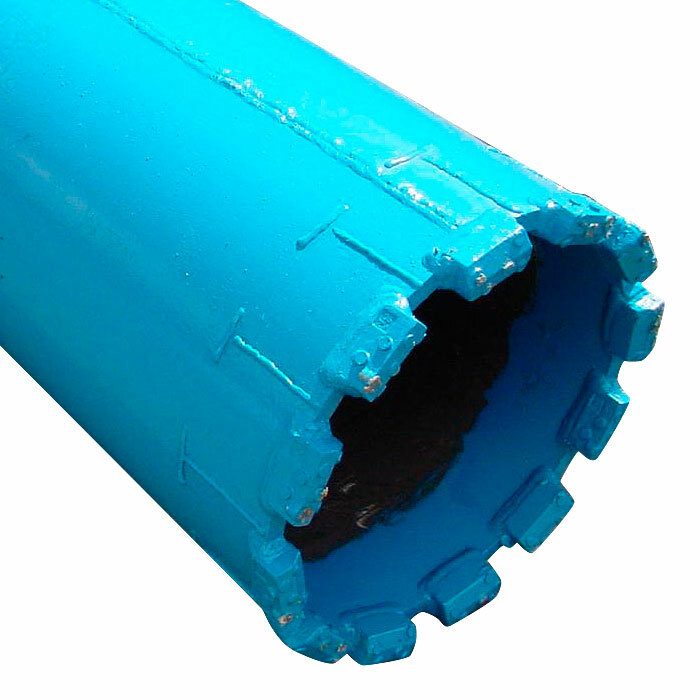 The heavy-duty design of our core barrels includes additional wear protection on the barrel in the form of hard facing or wear plate, and case-hardened point-attack tool holder. 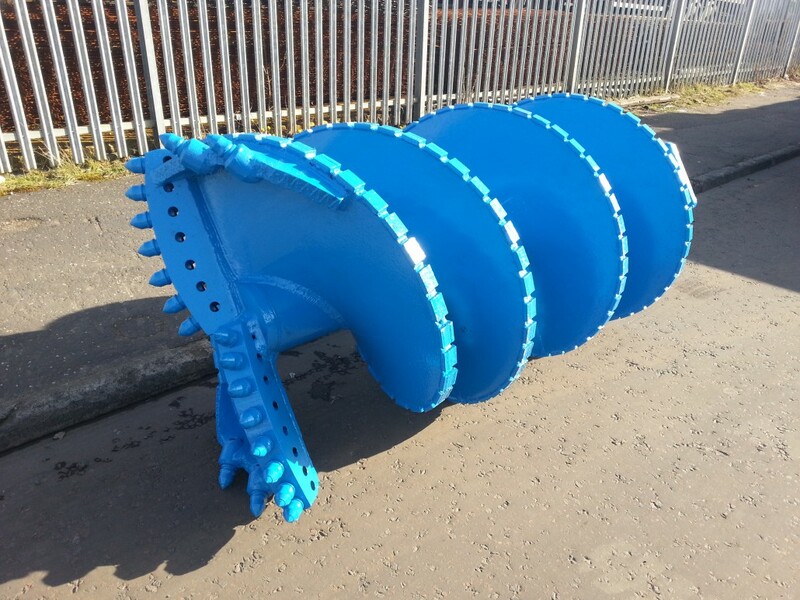 These are built for drilling in rock and are equipped as standard with a 130mm or 200mm Kelly box, and have a working length of 1,500 mm or 2,000 mm. 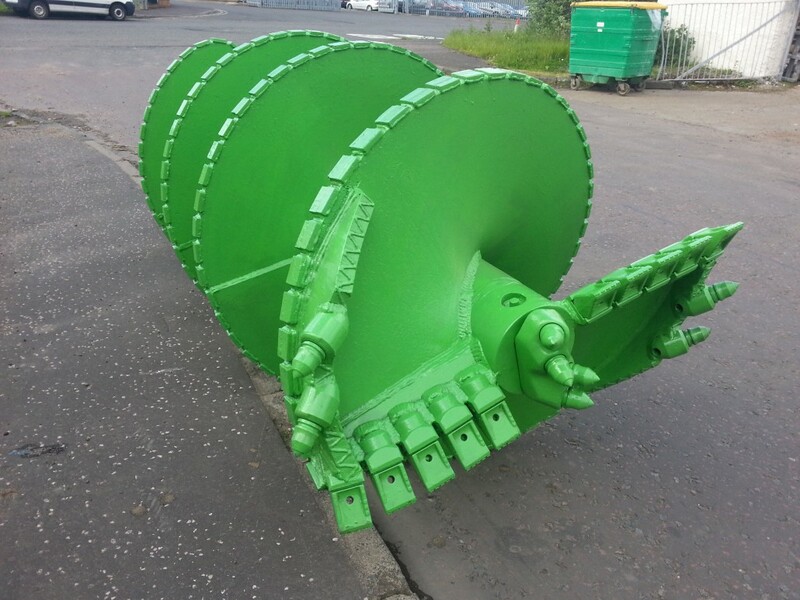 40mm thick lead flights are used as standard and can be manufactured with either bullet teeth in standard tooh holders or set in a Hardox tooth holder plate as required. 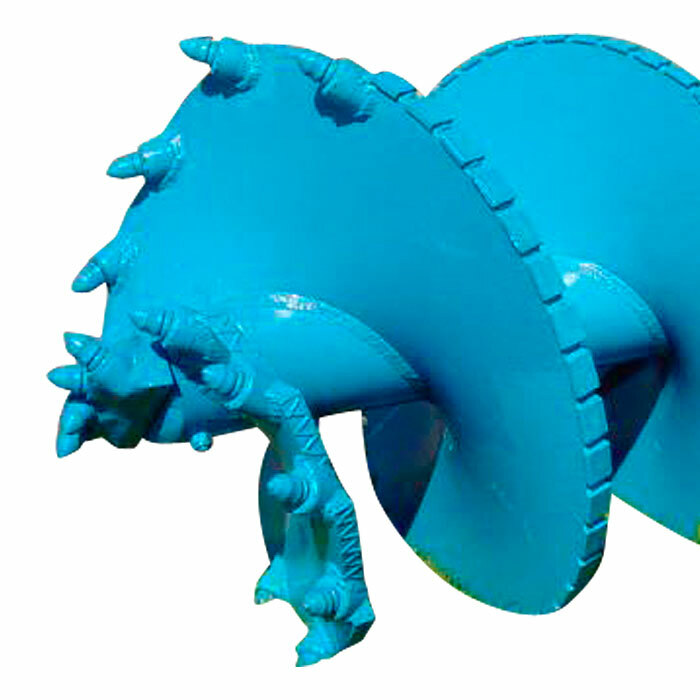 The point-attack tool holder is case-hardened for additional protection. 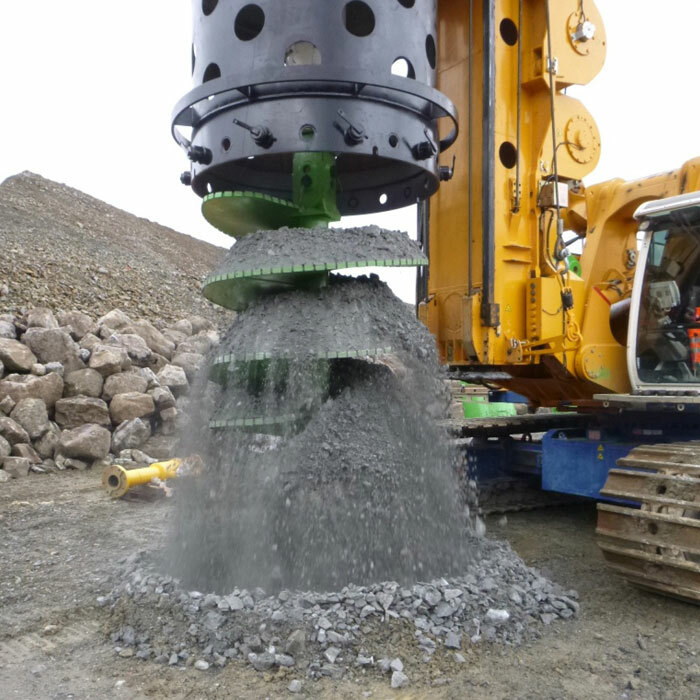 The B47 rock boring pilot drill is detachable. 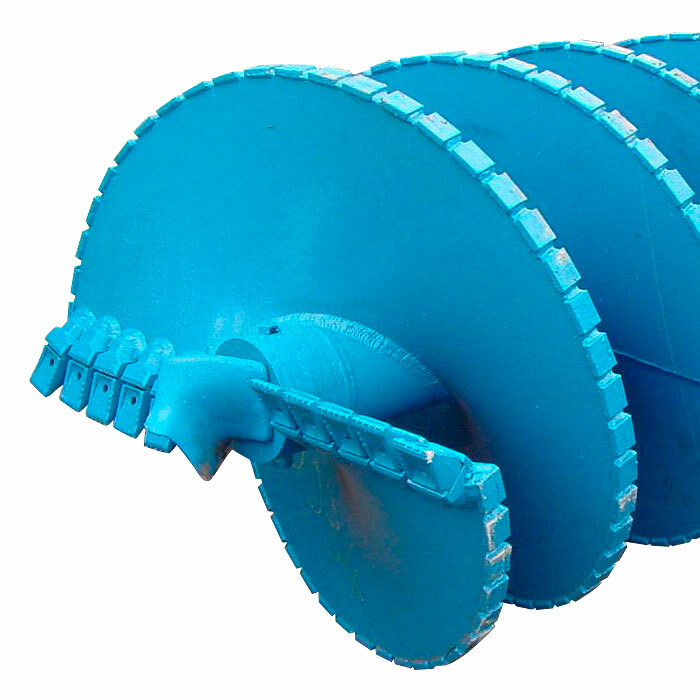 The flight edge of the rock auger can be reinforced against wear along the whole working length, with either wear plates or wear strip. 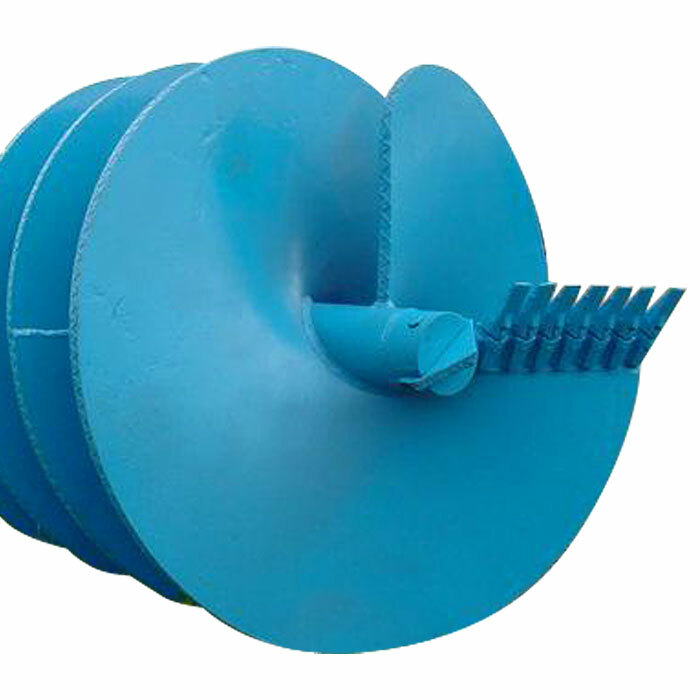 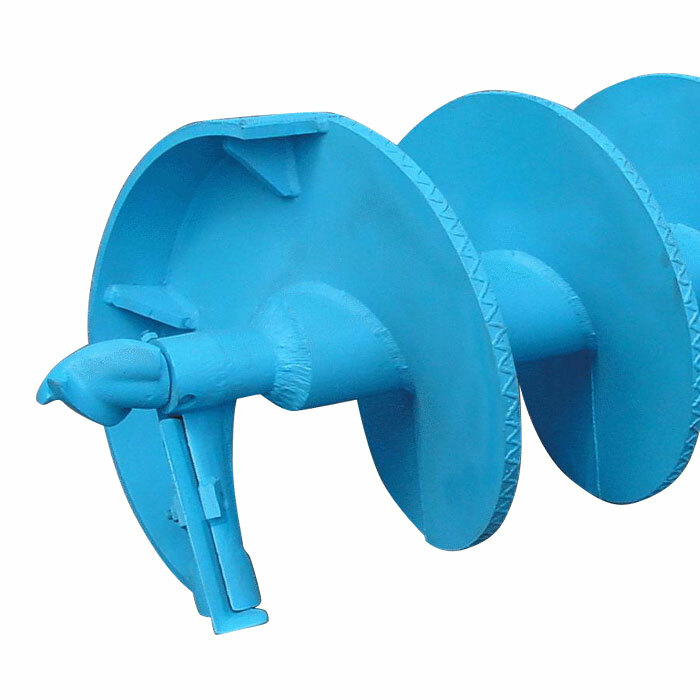 Bentonite augers are used with a cutting blade or flat teeth. 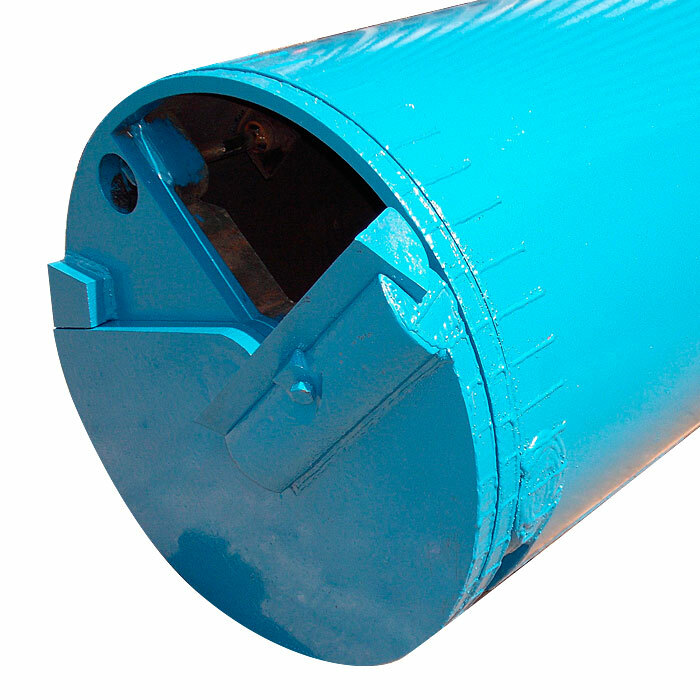 They are equipped as standard with a 130mm or 200mm Kelly box, and have a working length of 1.5m. 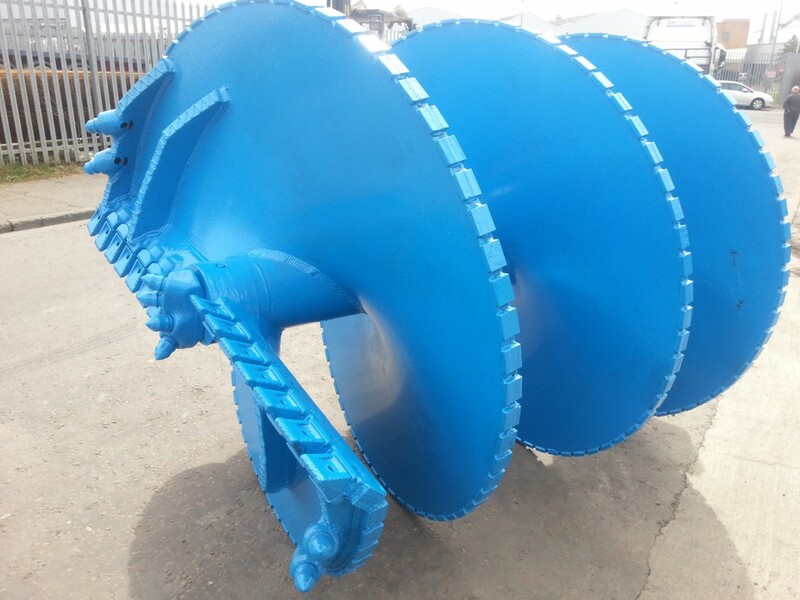 A second flight is provided which does not cut or transport spoil, thus allowing unhindered back-flow of the bentonite or drilling fluid without flushing the spoil from the auger. 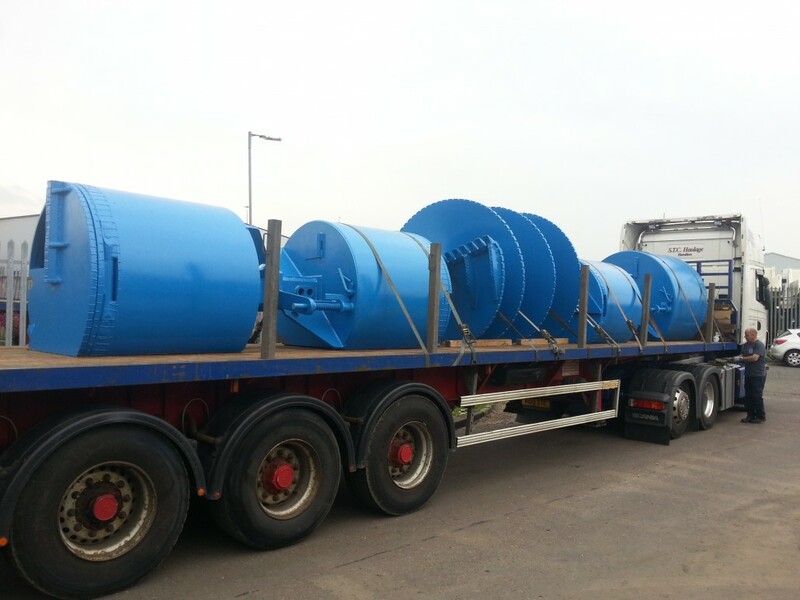 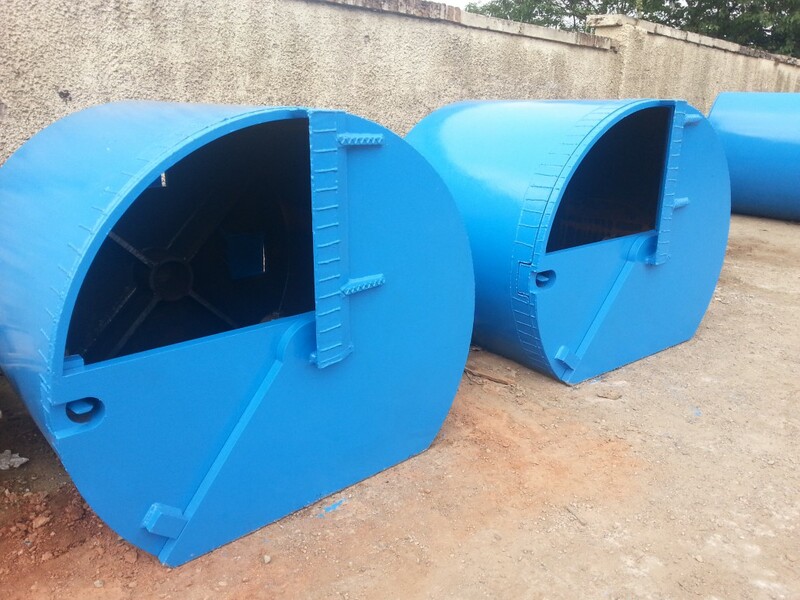 Temporary segmental casing is available with either single or double-wall and with diameters from 600mm to 3.0m. 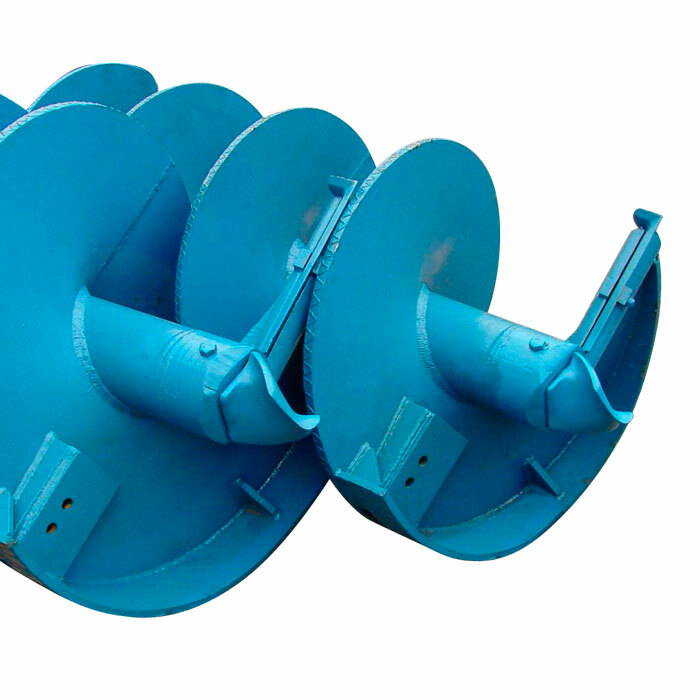 The casing connectors have welded-in threads or cone rings, and are secured with forged bolts. 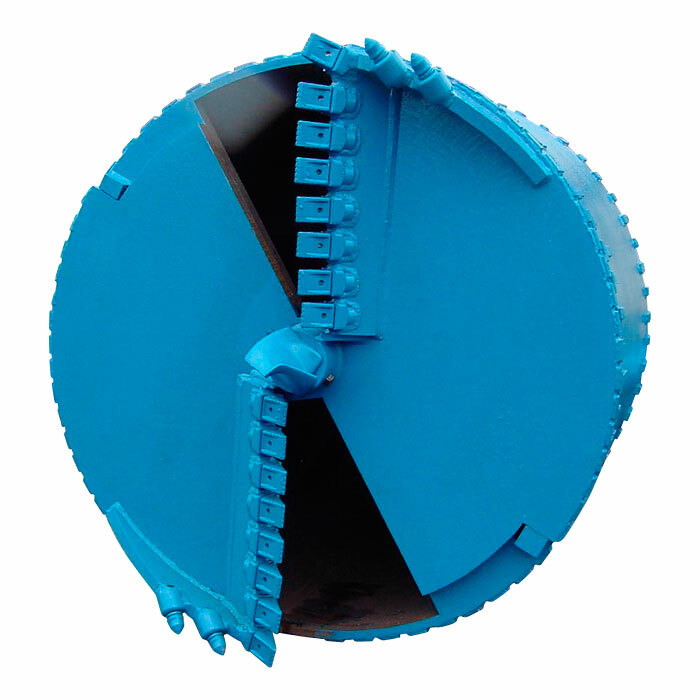 The casing shoes are manufactured with either weld on or replaceable teeth. 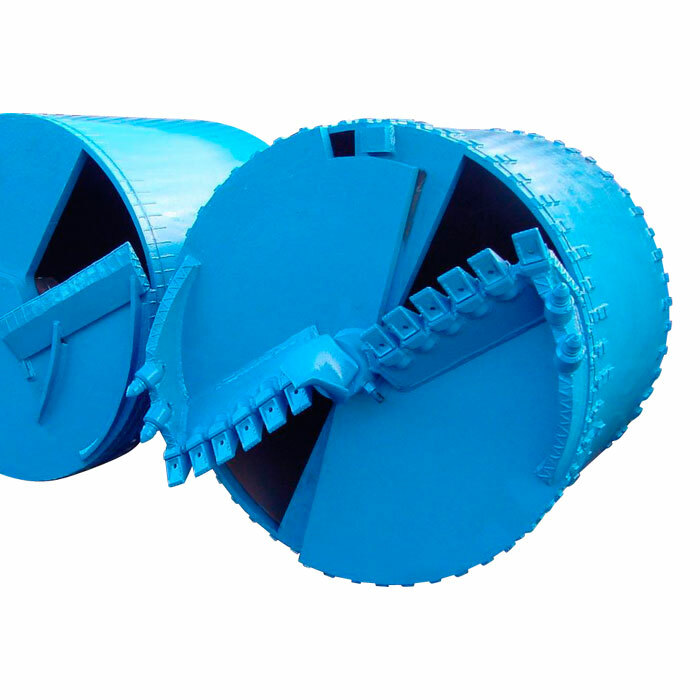 Additional composite hard-facing or wear blocks ensure a long low-wear lifetime for the casings. 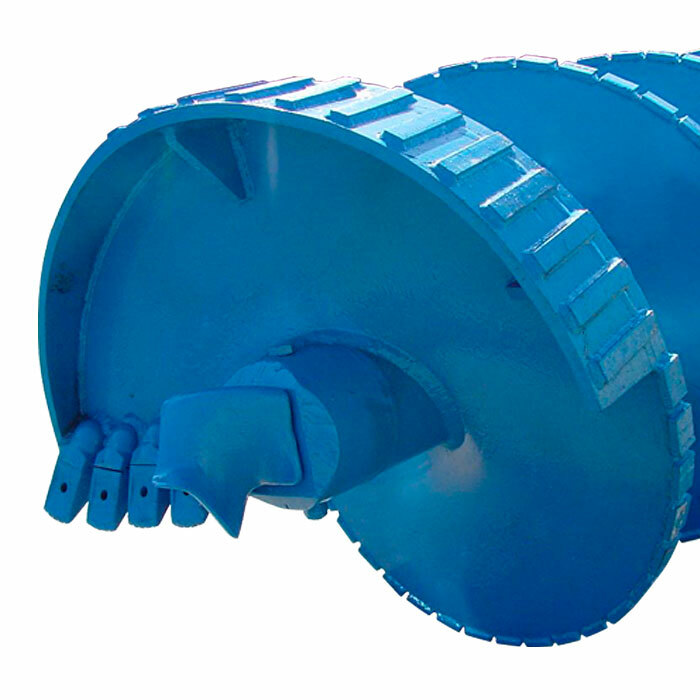 Drive adaptors are available to be used with all rotary drive heads (KDKs).